One of the great things about rock art is that it opens windows for us onto vanished worlds. Nowhere is that more true than in North Africa’s Sahara Desert where the rock art gives us a priceless record of the millions of people who lived and flourished there over a period of 5,000 years (roughly 4,000 to 9,000 years ago), as well as all the wild animals that once lived there before the climate changed back to desert. Among the animals depicted from that time are the huge prehistoric buffalo (Bubalus antiquus) and the aurochs a prehistoric ox, both now long extinct. The aurochs was once common across North Africa and indeed across large parts of Asia and Europe and is the ancestor of modern cattle. In Africa it seems to have disappeared around 4,000 years ago when the Sahara dried up, but in Asia it lingered on until the 1st millennium BCE. However, the last European aurochs died in a forest in Poland in 1628! But aurochs genes persist in modern-day cattle, a fact that has enabled a team of scientists and non profits to try and ‘resurrect’ the extinct animal through back breeding! Aurochs were powerful animals much larger than ordinary cattle, with bulls standing nearly 2 metres high at the shoulder. Perhaps the most famous imagery depicting them is the frieze of charging bulls in the so-called Hall of the Bulls at Lascaux Cave in France’s Dordogne. These may have been painted around 15,000 years ago. 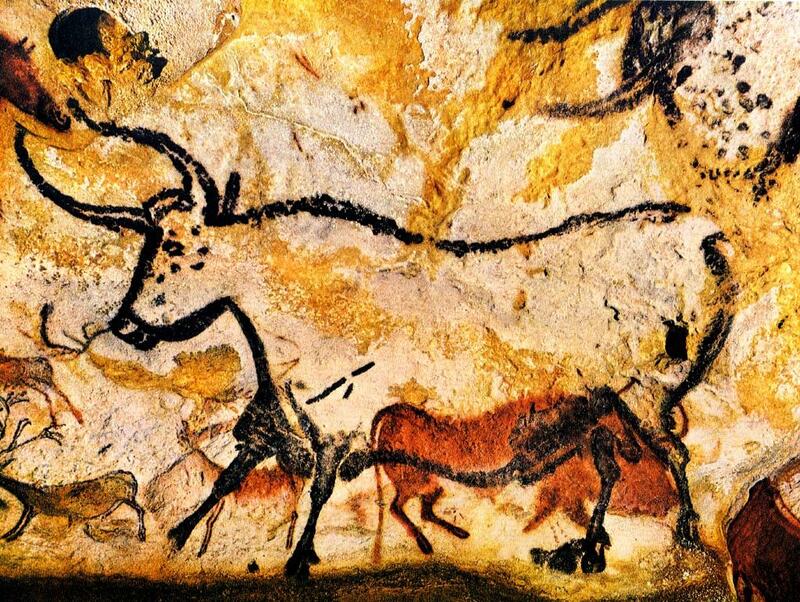 The earliest paintings at Lascaux have been scientifically dated to around 17,000 years before present. 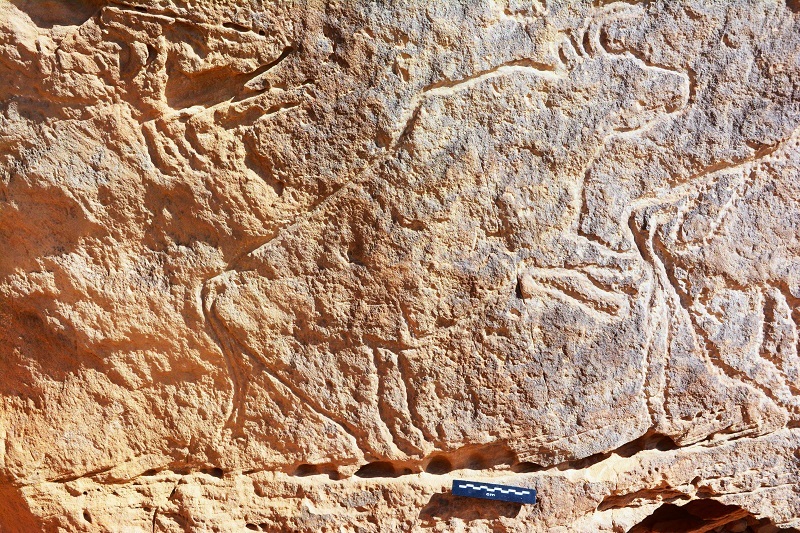 Detail showing one of the 18,000 year old aurochs engravings at Qurta in the Nile Valley between Luxor and Aswan, Egypt. 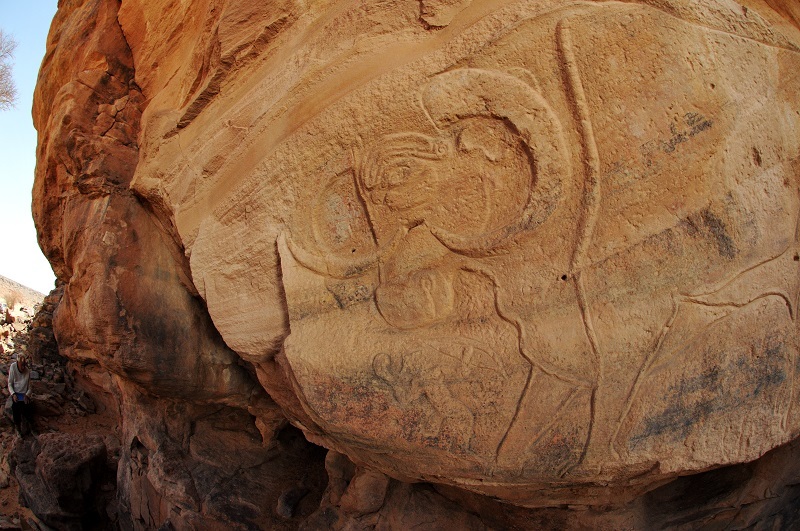 Rock art depictions of aurochs are fairly common in North Africa especially in Algeria, Libya and Chad. TARA has recorded the earliest known aurochs images in Africa at the eastern edge of the Nile Valley between Idfu and Aswan. These were first recorded by Dr Dirk Huyge of the Royal Museums of Art & History in Brussels and subsequently dated to between 18,000 and 22,000 years of age, making them some of the oldest dated African rock art.